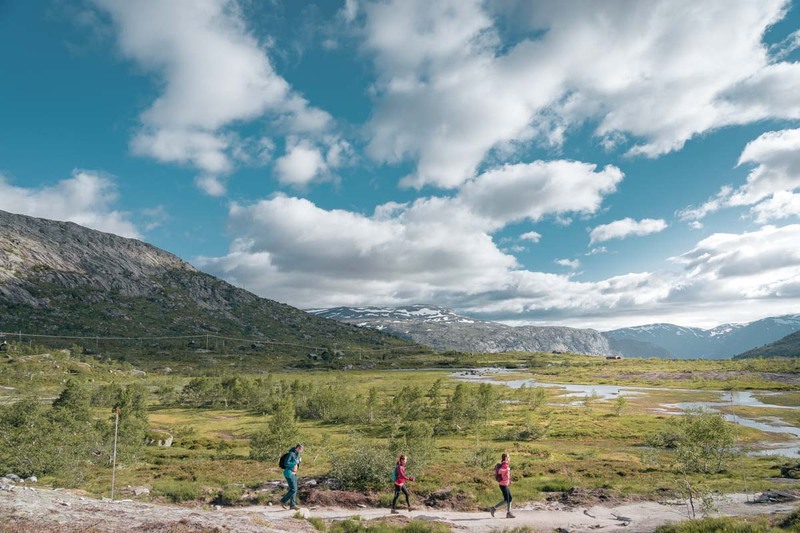 Experience Norway’s midnight sun; hike, camp, kayak and drive through some of Norway’s most dramatic scenery of mountains, fjords and valleys in this 7-day summer itinerary for less than S$2.5k including round trip flights from Singapore. 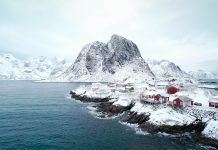 Previously, we spent a week in Norway’s dramatic winters where we were able to go aurora hunting, husky sledding and road tripping in the Lofoten islands for under S$2.5k. Come summer, the experiences in Norway will be drastically different. Day time lasts (almost) forever, and the milder temperature is perfect to be outdoors. If camping, hiking and exploring the fjords sound like a perfect vacation to you, you’re going to love this itinerary. Your sleep cycle is going to be pretty wrecked but if you’re up for it, this will be an experience unlike any other summer destination. *Budget breakdown at the end of the post! Flight: Oslo is a 15-hour flight from Singapore so we broke it into 2 parts (highly recommended)! We took Emirates from Singapore to Dubai (2 nights) before hopping on the next 7 hour flight to Oslo. More about this at the end of the post! SIM Card: These are usually sold at convenience stores like 7-Eleven or Narvessen — the airport has them too. If they’re out of stock, you can get your SIM Cards at mobile operators like Telia (Oslo S station). Plans start from 249kr for 1GB. It’s pretty pricy but connectivity is going to be important for getting around. Car Rental: Rental cars in Norway can be searched on Economybookings.com but SIXT usually has the cheapest options; An IDP isn’t needed and automatic cars are available, but left-hand-drives and anti-clockwise roundabouts will take some getting used to. Accommodation: Accommodation in the summer is in fact cheaper than winter (what?)! But also runs out pretty quick — especially in major cities like Oslo, Ålesund and Bergen — book them early in advance. If you’re camping on Fridays and Saturdays, make plans to arrive on site before 6pm or the better tent sites (near the toilets/on a flat ground etc.) will be snapped up by the time you arrive. 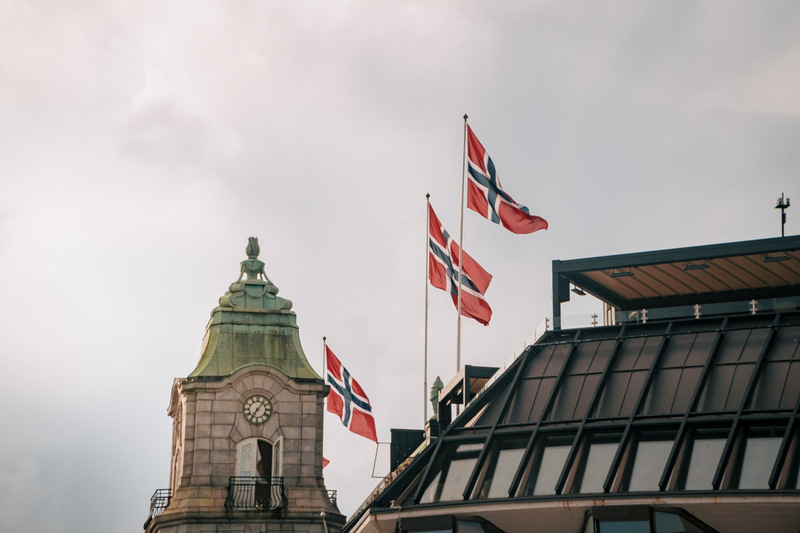 Norway’s cultural and political capital, Oslo serves as a great starting point to begin your trip. The Gardermoen Airport in Oslo also has an extensive network of flights to save you on those 7-8 hour drives to each city. Here are some of the cool stuff to check out in Oslo before catching a flight out to your next city. 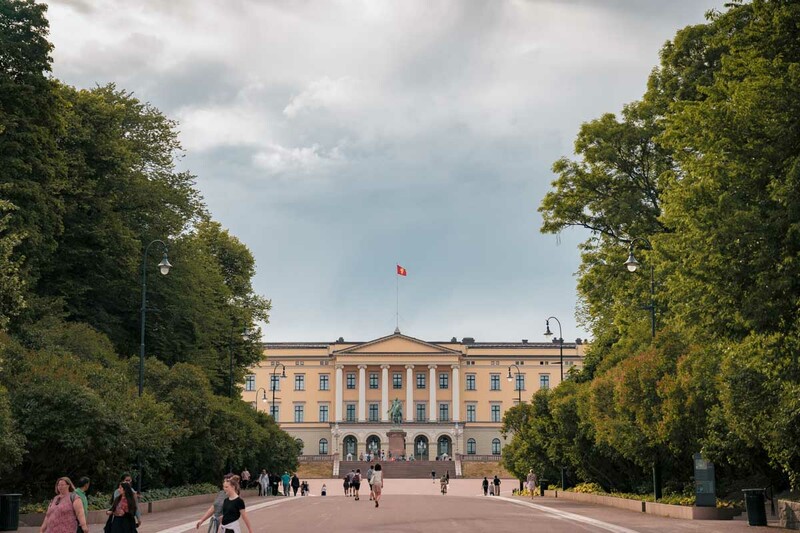 Getting Around in Oslo: Purchase a 24-hour Ruter Pass for all zones (237kr) — covers unlimited transport on Ruter buses, trams, metro lines and ferries, and on NSB’s trains in Oslo. This includes the train between Oslo Luftahavn (airport) to Oslo S (Sentrum) stations. 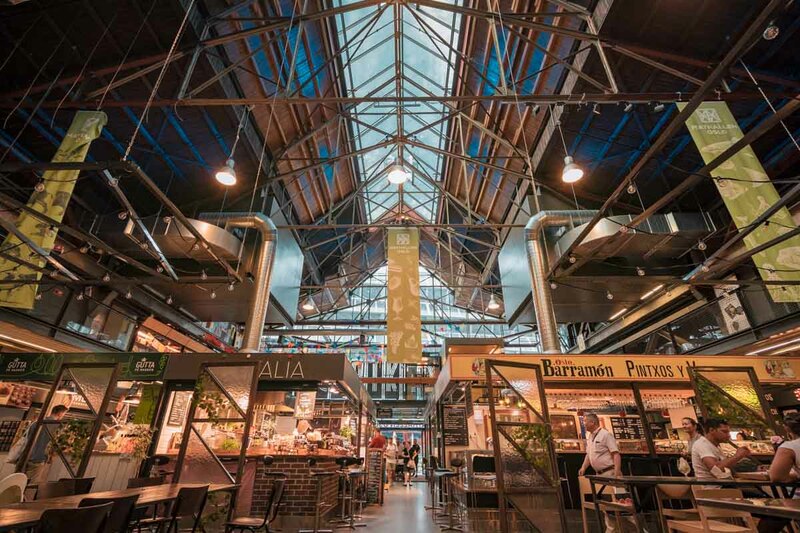 The Mathallen food hall houses around 20 small eateries and shops and is the perfect place to hang out over lunch. If the weather’s nice, you can pick up a bit of everything from the various specialty stores and have your meals alfresco at the tables outside the building. Eating out in Norway is notoriously expensive so while the prices here are considered low, they can average out to be ~S$15/pax. We shared a Pulled Turkey Sandwich for 89kr and a generous Poke Bowl for 149kr. 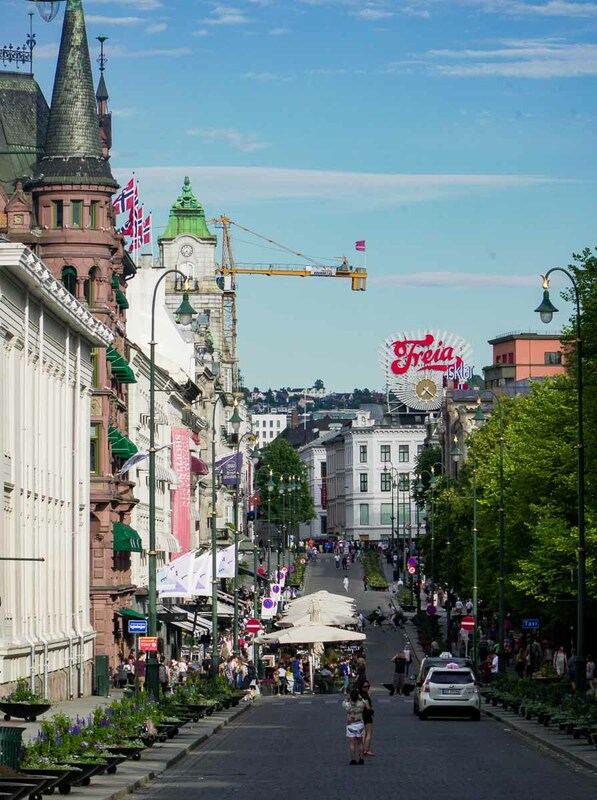 Walk down the main street (Karl Johans Gate) of downtown Oslo towards the Royal Palace. On this street, you’ll pass by the Parliament (Storting Building) as well as many street bars and cafes. Guided tours within the parliament house are closed in summer but if you’re around between late September to early November, you can join in on these tours every Saturday. 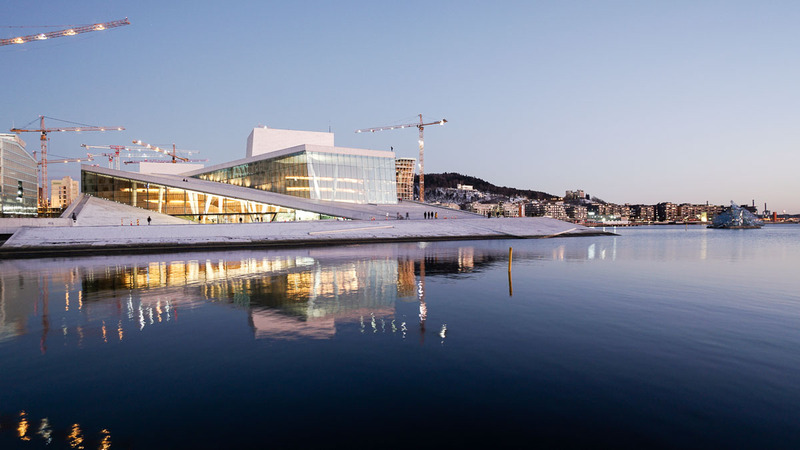 A 5-minute walk from Oslo S station, the Opera House hosts a variety of concerts, plays and ballet shows but the main attraction here is its roof. Even if you don’t have an event to attend here, take a walk up the roof for a spectacular view overlooking some of the smaller islands. Fun fact, the roof also serves as the perfect platform for outdoor concerts! Buy groceries for dinner and prep for an early flight out to Bergen the next morning! Remember, you can use your 24-hour Ruter Pass to get to the airport if it’s still within the 24-hour period. This iconic rock hanging over a lake makes the post-card perfect photo opportunity but is a whole adventure of its own to hike up to. 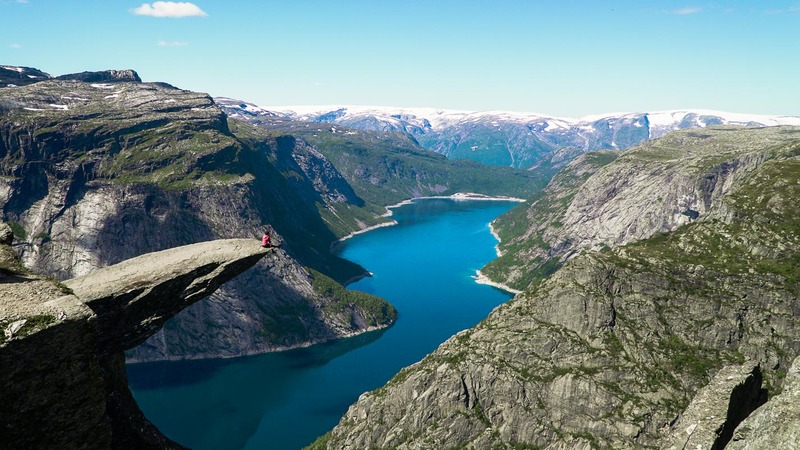 The Trolltunga view point (also known as the Troll’s Tongue) is a 14km-hike (10 – 12 hours) from the main carpark (Skjeggedal) and include sections of really steep terrain — mental and physical preparation is quite crucial for this one. The trail is safe to trek on your own without guides in summer — between mid June to mid September — when the snow has melted. The path is quite straightforward with obvious red markers along the way. In the first 3 – 5km, you can look out for long metal poles with red at the tips. Higher up where the terrain is all rocks, look out for red Ts painted on the rocks. If the Ts aren’t visible, they’re usually near rock stacks so you can keep an eye out for those too. We split the journey by pitching our tent slightly before the 9km mark (5km to Trolltunga), caught some sleep before continuing our journey the next morning. With more than half the load off our shoulders, we took about 2 hours to get to the view point (trust me, it makes a world of difference)! There was a queue when we arrived at 10AM but by the time we left around 12PM, the queue was about twice the length! If you’re camping up, definitely take the chance to start as early as sunrise to avoid the day-hiking crowds who are starting from the base. 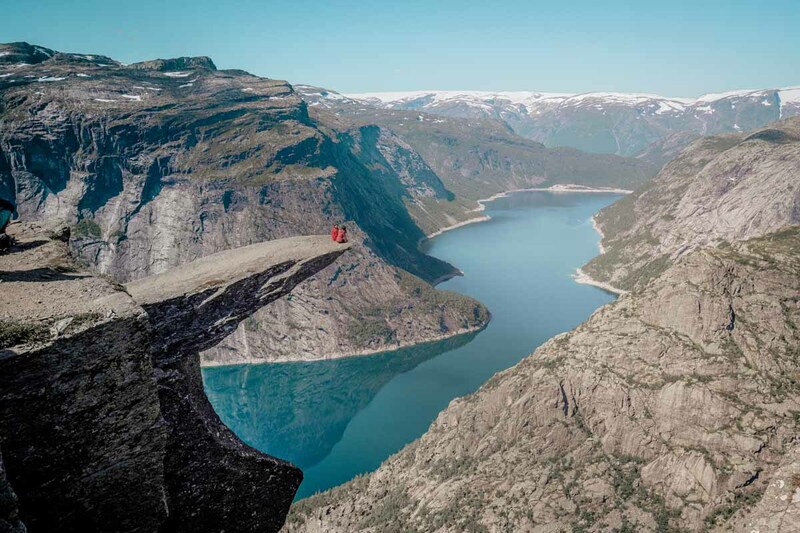 Getting to Trolltunga Carpark by car: Fly from Oslo to Bergen, pick up your rental car from the airport and drive 1.5 hours to Tørvikbygd ferjekai. The ferry leaves for Jondal every 1-2 hours and you can find out the exact timings via Fjord1.no. From Jondal ferjekai, it’s an hour drive to the first Trolltunga car park which has plenty of lots (~250). 24-hour parking here costs 500kr. For 600kr, there’s a newer carpark that will shave a steep 3km off your hike but the parking space is a lot smaller (~30 lots). Once you see the main carpark, continue towards the base of the hairpin bends where hikers usually start their trek. There’s a gantry at the base where you can enquire for space and pay for the higher parking. 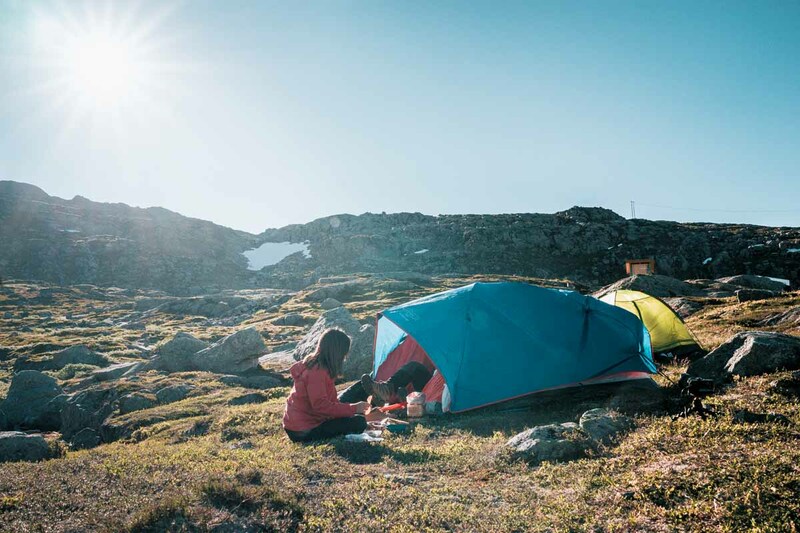 Camping along Trolltunga: There are suitable grounds to set up your tent just slightly before the 5km (to Trolltunga) mark, or higher up but not past the 3km (to Trolltunga) mark. Water streams are abundant and safe for drinking — really tasty in fact! Pitch somewhere shielded by the winds because the strong winds here can easily uproot the tents. 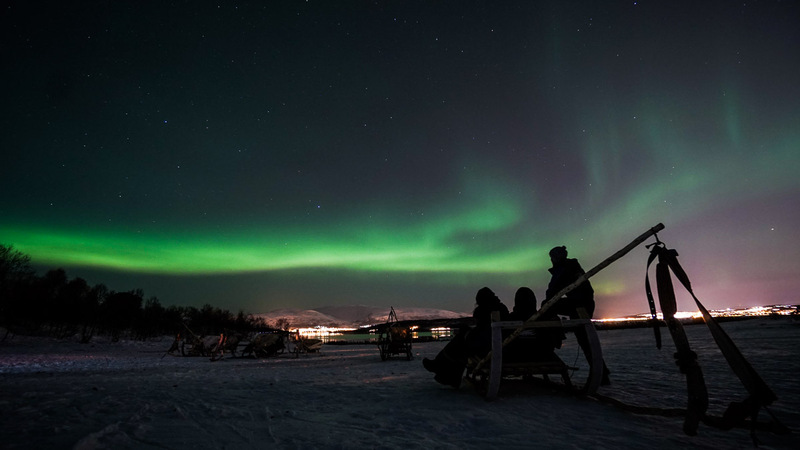 The drive back is about 3 hours and the last ferry from Jondal is at 10:20PM (9:30PM on Saturday) so do factor in time to catch this or you’ll be waiting as much as 10 hours before the first ferry the next day. If you’re unable to catch the ferry from Jondal, there’s a slightly longer route without ferry crossings — take the RV13 followed by E16 towards Bergen. 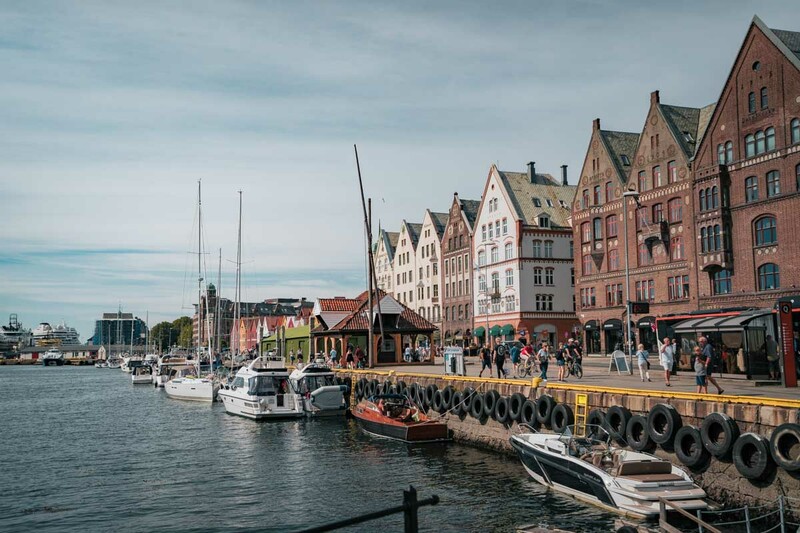 The former capital of Norway, Bergen is surrounded by mountains and fjords and is often said to be one of Europe’s most beautiful cities of Norway! We arrived on the night of day 3, had a light day exploring the city on day 4 before catching our flight to Ålesund the next morning. 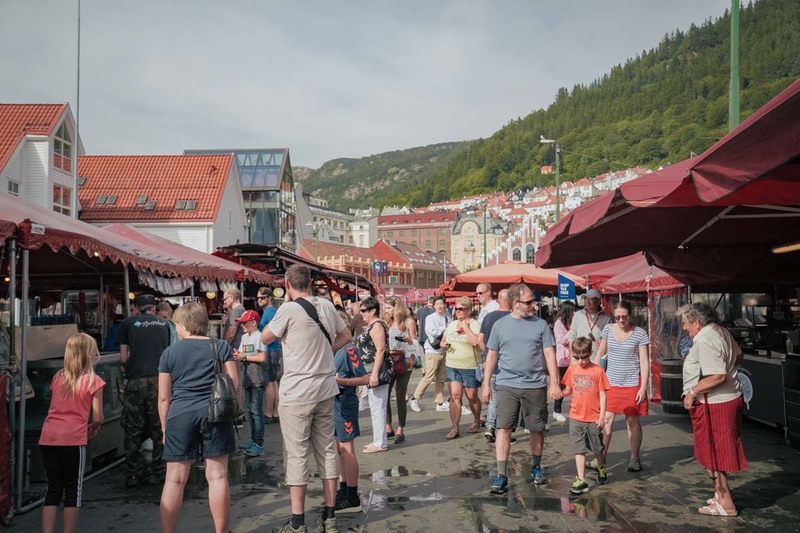 Getting Around: Most sites can be covered by foot especially if you’re staying around the Bryggen area. The colourful wooden houses of Bryggen is a UNESCO World Heritage-listed site and probably one of the most photographed images of Norway. Within these 14th century colourful wooden houses are restaurants with excellent outdoor seats perfect for sunny days. The wooden alleys between the houses are worth exploring too. 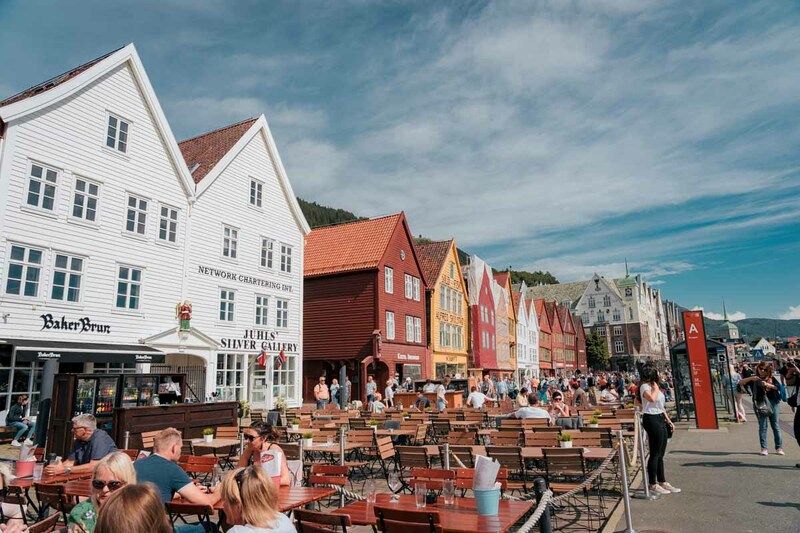 This fish market in Bergen has been around since the 1200s and is a short walk from the colourful wooden houses of Bryggen. It’s a little touristy but still worth checking out. Here you can purchase tax free goods like caviar, dried fish and other seafood products which make perfect souvenirs. There’re also seafood skewers, sandwiches and fresh catch which can be prepared on the spot to eat. 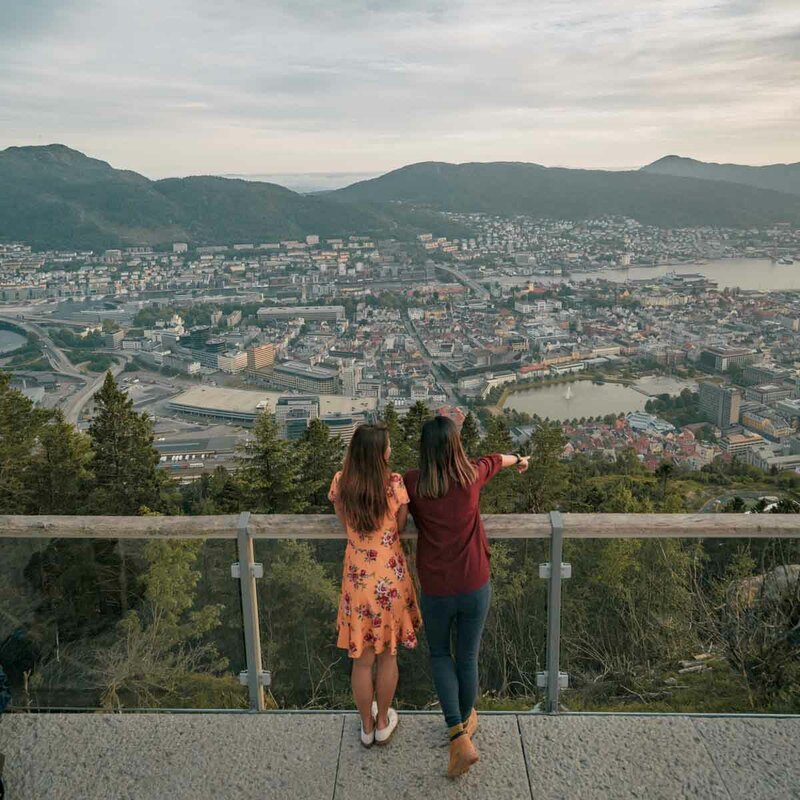 No trip to Bergen is complete without capturing a panoramic view of this picturesque city. The highest point, Fløyen, has a few route to hike up — most routes up are around 2-3km (~45minutes trek). Alternatively, you could take the Fløibanen (50kr one way; 95kr round trip) which will get you up in 2 minutes. 1-hour north of Bergen (via flight), Ålesund was our gateway to Geirangerfjord. The port city has its own charms too with art nouveau architecture rebuilt from a fire in 1904. 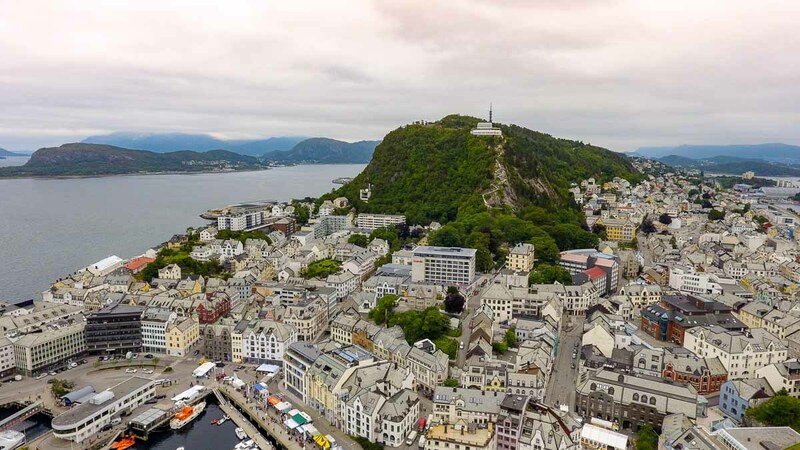 Pick up a rental car from Vigra Airport and drive towards Ålesund to explore the Art Nouveau town. For the best views of the city, head up to Fjellstua Aksla viewpoint. There are 418 steps leading to it but there’s also a clear road you can drive up to. 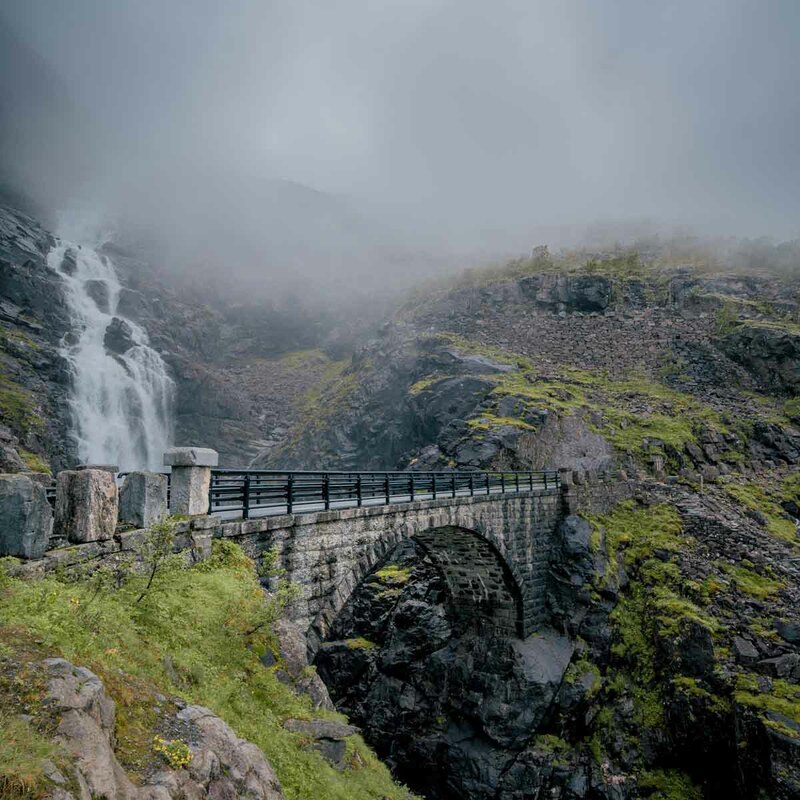 With some daylight to spare (lol, it never really got dark in July), start your drive towards Trollstigen. 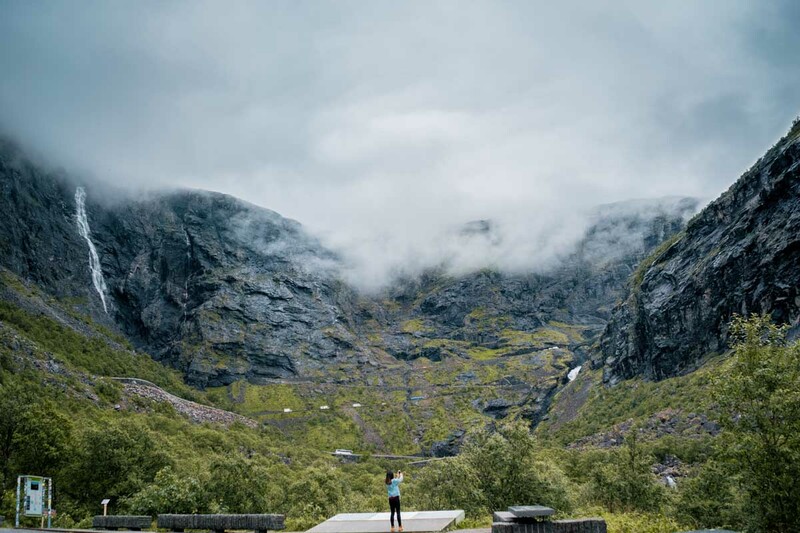 You can either stop at Sjøholt Camp (45minutes from Ålesund) or Trollveggen Camp (1.5 hours from Ålesund but nearer to the next day’s sights). Accommodation for the next 3 nights will be at campsites. In summer, you can pitch a tent just about anywhere but it’s slightly more comfortable when there are toilets, hot showers, access to electricity and kitchen facilities — and that’s what these campsites offer. Trollveggen camp is pricier (than Sjøholt) but comes with better facilities and an amazing view overlooking Mt. Trollveggen — also known as the Troll Wall and is Europe’s tallest vertical mountain. 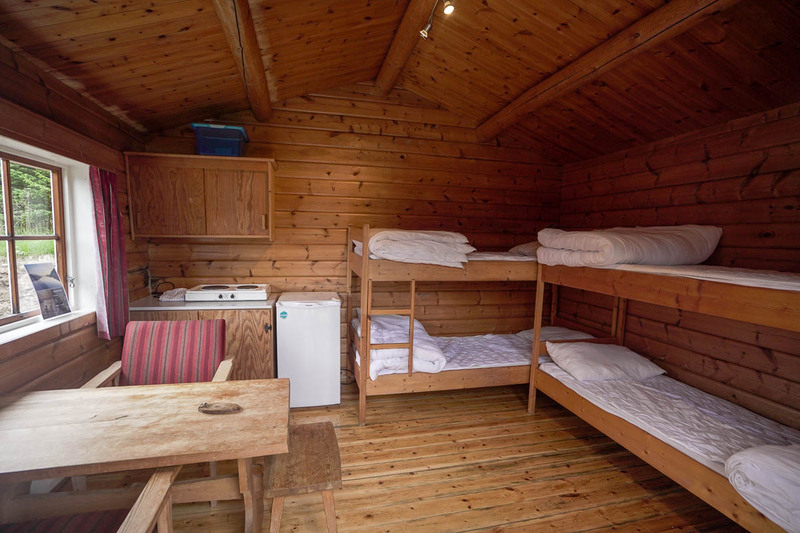 Other than tent space, these camping areas also have cosy wooden cabins with beds. They’re basic but really cosy. These are limited so definitely book them in advance. Definitely cheaper than staying at a hostel/hotel/airbnb. If you’re driving to Trollveggen, you might want to pick up groceries in Sjøholt as this will be the last supermarket you’ll see for the next 3 days. We picked up groceries from a Rema 1000 near the Vigra airport which was pretty big — lots of variety and cheap deals. 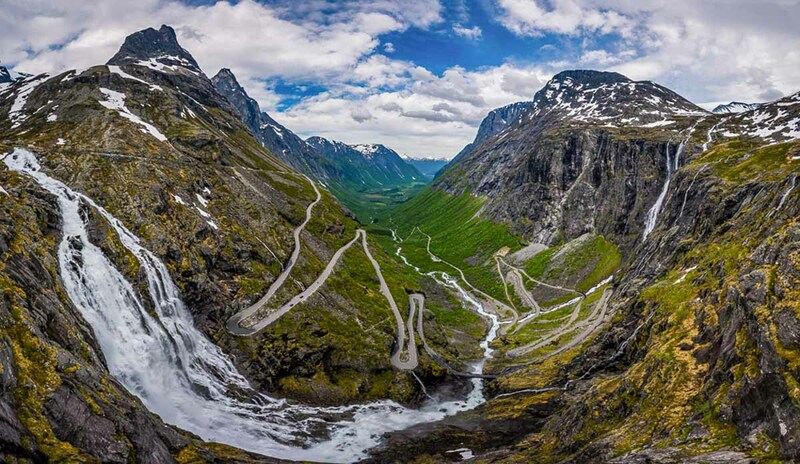 Trollstigen – Geiranger is part of the National Tourist Route which promises some of the most epic drives! You won’t want to sleep through this even if you’re in the passenger seat! 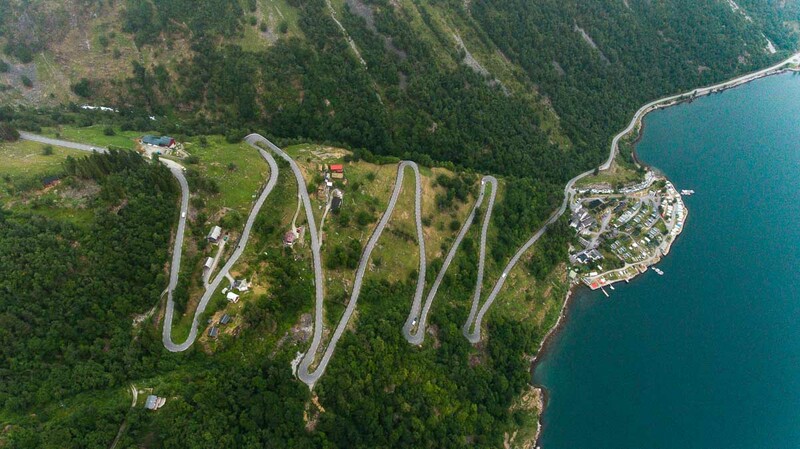 Hair pin bends are common around the roads of Norway but this is probably one of the most iconic of all. 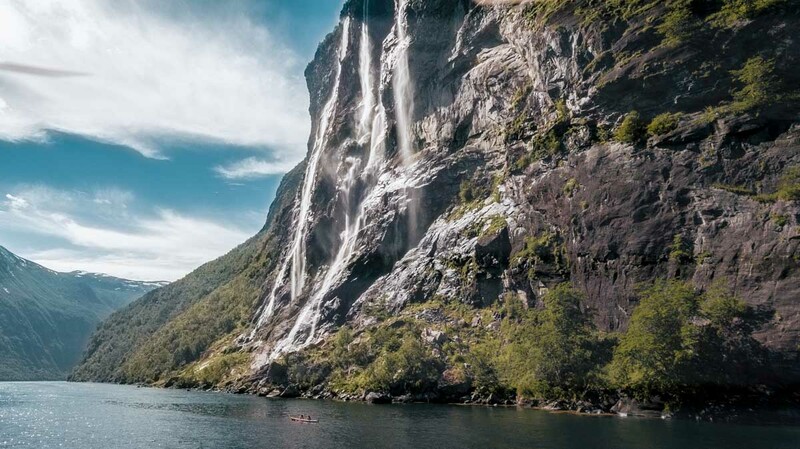 There are 11 in total with huge waterfalls including the 180m high Stigfossen. The roads are pretty narrow and are two-way with many caravans passing this route. Do drive carefully and give way to the bigger vehicles — especially before the bends. From Trollveggen camp, it’s only a 20 minutes drive to the lower lookout point where you can see the bends, the waterfall and even the bridge (Stigfossbrua) where the Stigfossen cuts across. 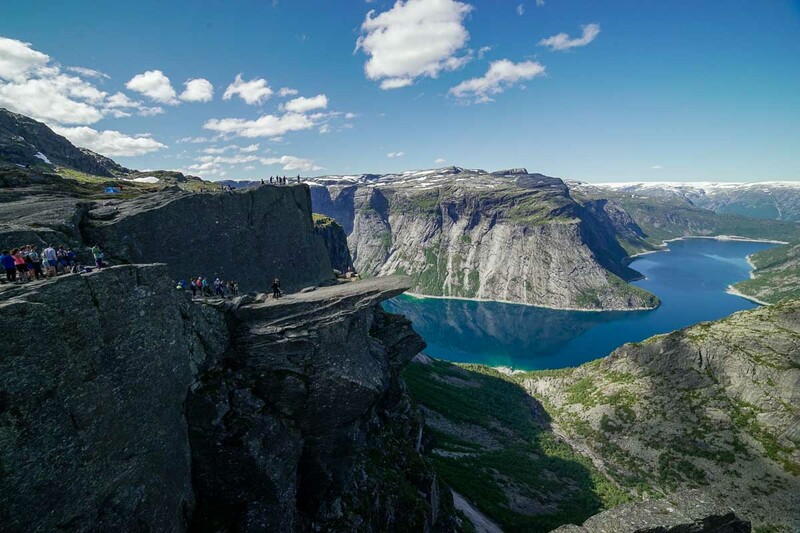 The second view point is from the top of the bends at the Trollstigen Visitor Centre (Stigrøra) at the top. There are walkways that lead out to another famous viewpoint but if the fog blows in, you won’t be able to see anything (aka us). But here’s what it would have looked like! 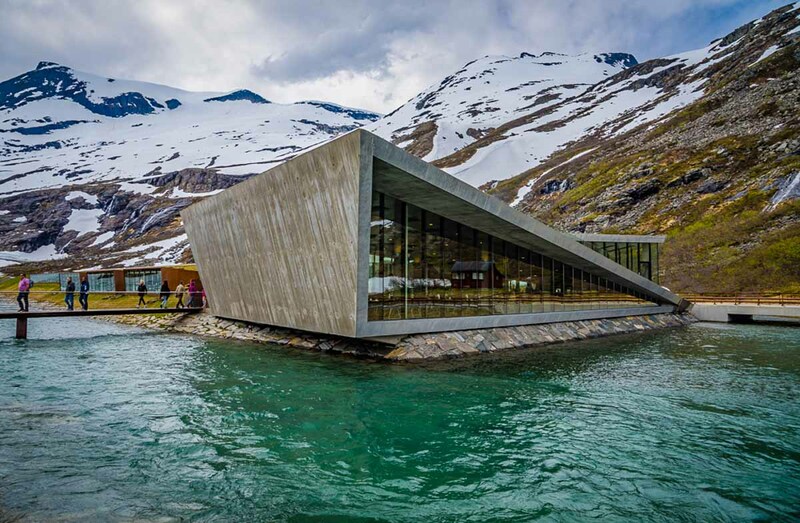 From the Trollstigen Visitor Centre, drive an hour towards Linge Ferjekai and catch the ferry to Eidsdal (12min ride). This ferry comes by quite frequently but you can check the timetable from fjord1.no just to be sure. From Eisdal, it’s a 35-minute drive to the campsite. 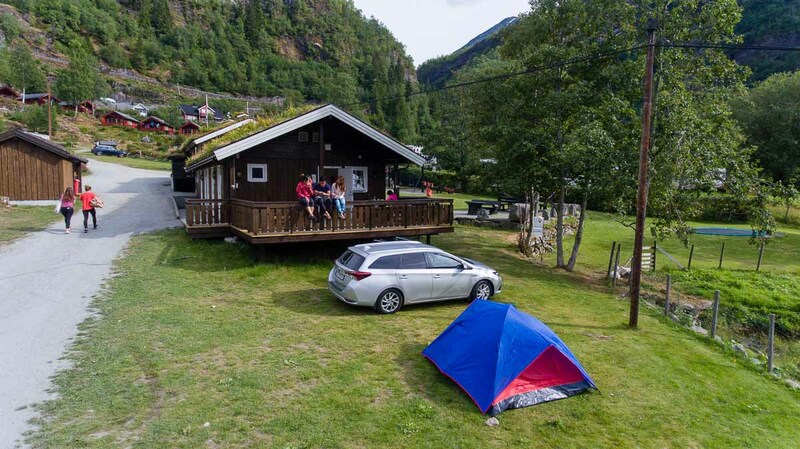 There are a few campsites down by the fjord with space for caravans, tents and cosy cabins (these can be expensive!). The most popular ones being the Grand Hytteuleige. 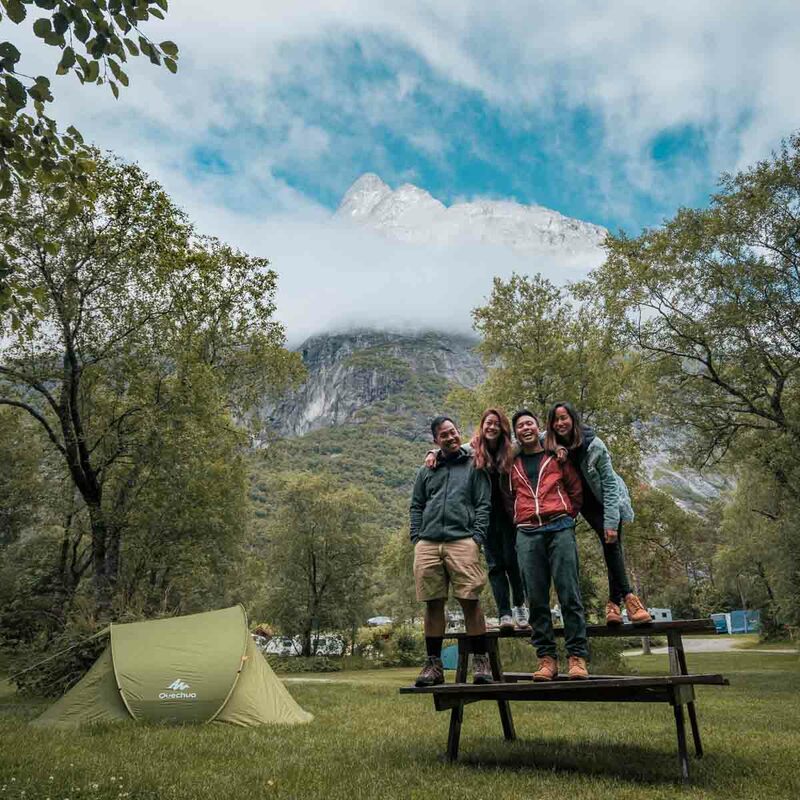 If you arrive late on the weekends, this will most probably be filled but you can try for other camp sites like Fjelltun Camping, Geiranger Camping, Homlong Camping or Solhaug Camping which are all located at the base of the fjord. 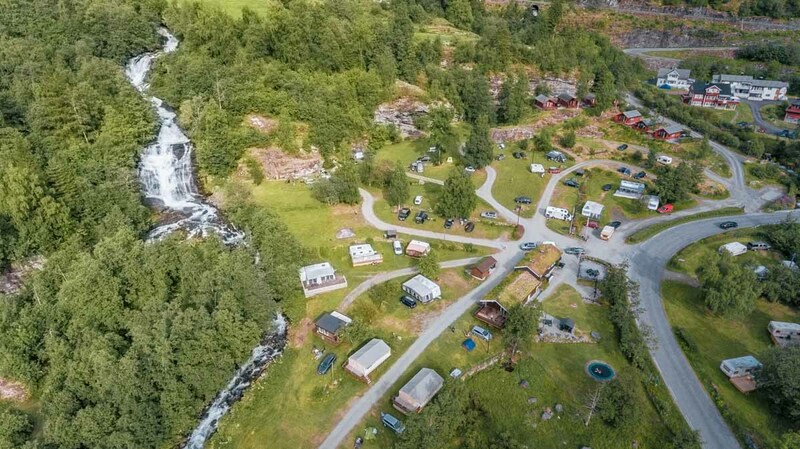 If all fails (like for us), there’s also Vinje Camping which is slightly higher up so you won’t be able to see the fjord but has excellent facilities that are clean and new. It’s situated next to a huge waterfall which is great if you love sleeping to such ambient noises. You can even purchase access to electricity for 50kr and be provided extension cables so you can charge up gear from the comfort of your tent. *Pro-tip: Get change for 10kr coins before the reception closes as you’ll need these for the showers (10kr for 5 minutes). A nice viewpoint to stop between Eidsdal and the campsite is the Ørnesvingen-eagle Road, just before the start of the hairpin bends. You’ll see cars parked up here so it’ll be unmissable. 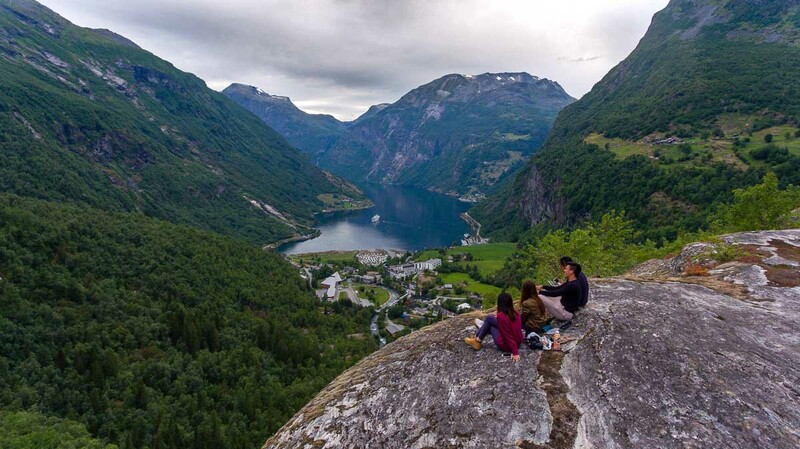 Park your car and take a quick stop to admire the Geiranger fjord from a good height before you continue the journey. 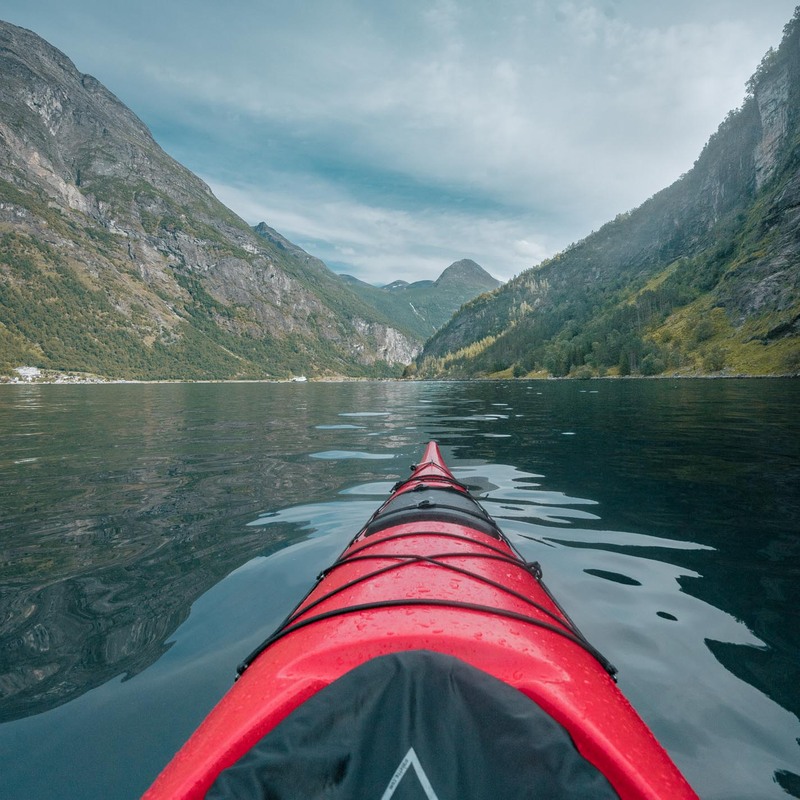 While taking a cruise down the 20km winding fjord is ranked one of the top experiences in Norway, we wanted to explore at our own pace with Kayaks instead. Being flanked by its sheer cliffs means its emerald green water is almost always still, perfect for any level of kayaker to explore. 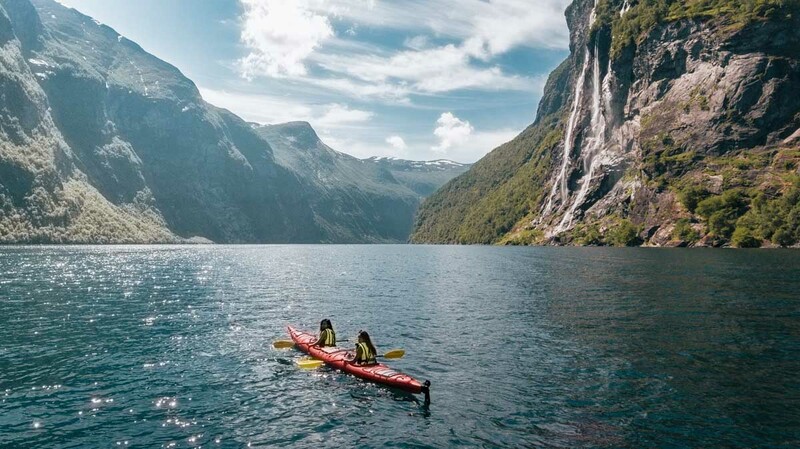 You can take on Kayak tours or rent one on your own from either the Geiranger Kayak Centre (at Hom Long Camp) or Active Geiranger (at Grand Hytteuleige). We rented ours from the latter at 750kr for up to 3 hours (Double Kayak). Other than kayaks, there’s also motorised boats available for rent at Active Geiranger —400kr, 650kr and 800kr for 1,2 and 3 hours. Each boat takes up to 5 and you can decide to have a driver or receive instructions to operate them on your own. From Grand Hytteuleige, it’s a ~4km to row to the Seven Sisters Waterfall which took us about 1 hour including breaks in between. You’ll receive a skirting so your feet aren’t likely to get wet. Pack enough drinking water and light snacks to enjoy in the middle of the ride. We wished we had sandwiches with us! After washing up and packing our tent at Vinje, we drove over to Flydalsjuvet to capture one last epic view of Geiranger. The postcard worthy view here features a good vantage point of the settlement in front of the waterbody as well as the many boats and ferries that come and go every hour. We would have easily stayed another night if not for the flight we had to catch. If you have time, I’d highly recommend spending 2 nights here since accommodation is cheap too! Since we had an afternoon flight to catch at the Ålesund Vigra Airport the next day, we started our 2-hour drive back around 7PM towards Sjøholt (incld. ferry crossing at Eidsdal – Linge). If you’re staying in the cabins, make sure to arrive earlier beause you’ll need to collect your cabin keys before the reception closes at 9PM. 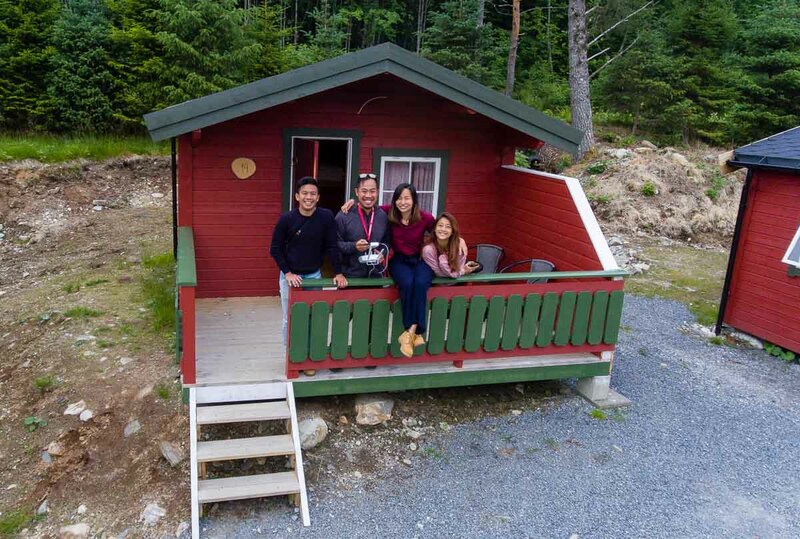 A four person cabin here only cost 520kr which comes with electricity, plates, cutlery and a simple electric stove — although we ended up cooking in the common kitchen in favour of more space. Common toilets are a short walk from the cabins and are also where you can find washing machines and dryers for a small fee. 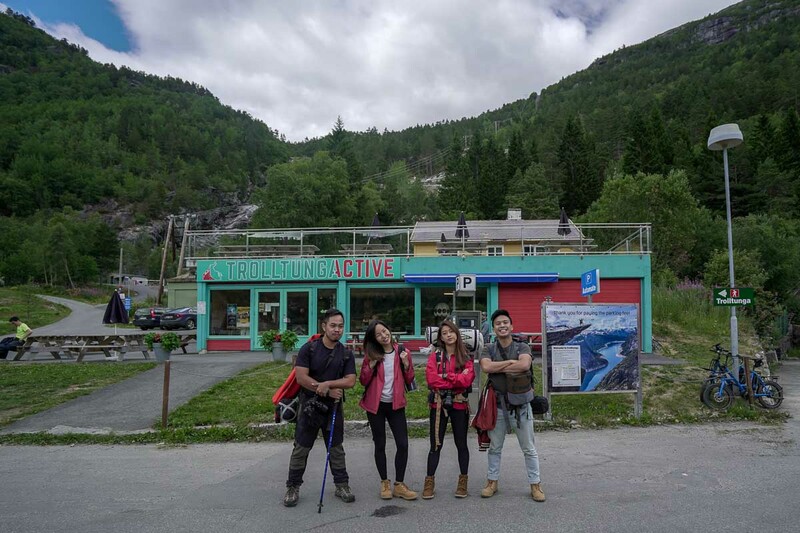 Day 8: Ålesund – Oslo — Singapore? From Sjøholt, it’s a 45-minute drive to the Ålesund Vigra Airport where we caught our flight to Oslo. From Oslo, we actually embarked on a 4D3N trip to the Lofoten Islands. 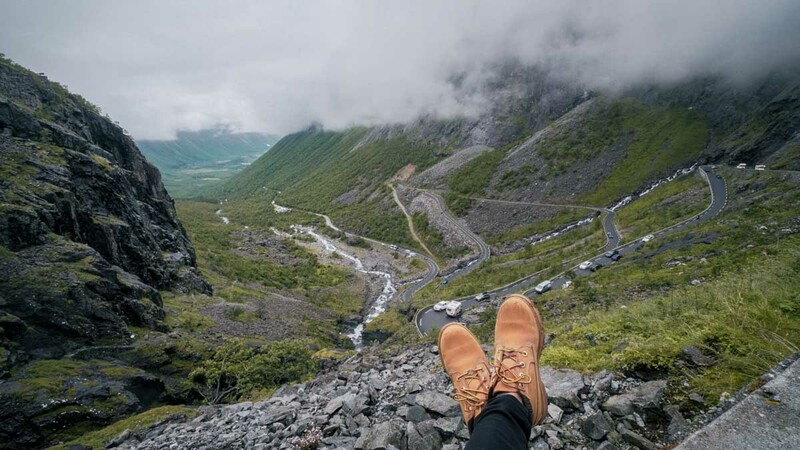 If you have time, we highly recommend extending your trip for the Lofotens too! 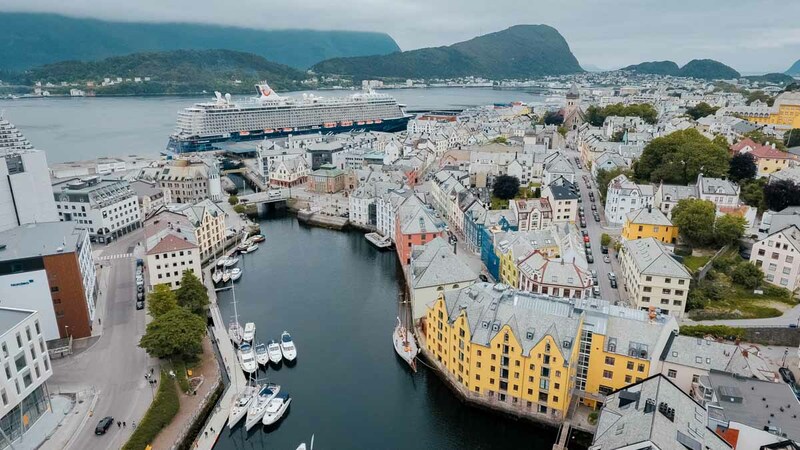 It’s a bit hard to get to and it will cost quite a bit more because of the flight from Ålesund – Oslo – Bodø. Unfortunately, there are no direct flights from Ålesund to Bodø even though it’s half way from Oslo. Well, as the saying goes, “there are no shortcuts to places worth going” so if you’re up for the adventure anyway, do keep a lookout for our Lofoten Travel Guide (coming soon)! Emirates has 20 weekly flights from Singapore to Oslo with fares reasonably priced from S$999 (incl. taxes and surcharges)! 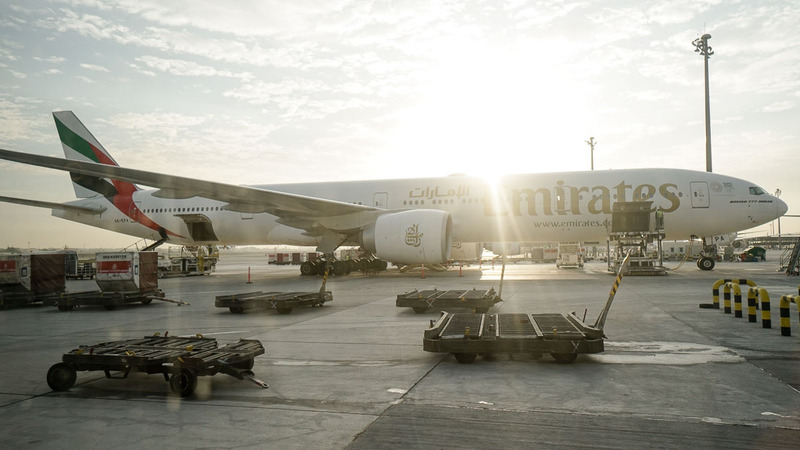 There are many reasons why we love Emirates, but especially for long journeys like this 7+7hour ride from Singapore to Oslo (with a stopover in Dubai). 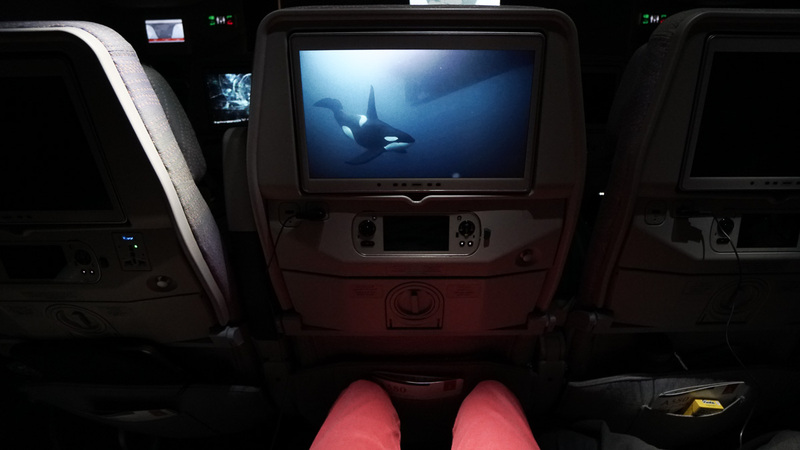 The seats (especially their A380s), have one of the most spacious legrooms for economy class and the in-flight entertainment is one of the best we’ve seen. Some flights even offer complimentary WiFi of 200mb to guests — just enough to catch up with friends on messenger apps before you land. Not to mention their crew of varying nationalities makes the whole experience a pretty interesting one! We spoke to one of the friendly Korean stewards on our Singapore to Dubai leg and he revealed that there were more than 20 nationalities on board, each speaking a different language. Pretty amazing ain’t it? Start booking your flights from Singapore to Oslo here. Here’s how we kept our total trip’s budget under S$2.6k including our round trip flight from Singapore to Oslo! Fortunately for campsites, we were able to keep the budget for accommodation relatively low. Besides, the weather during summer is so pleasant, most people want to stay outside all the time! Eateries whether they’re fast food or fine-dining aren’t very different when it comes to price. A bowl of fiskesuppe (fish soup) usually costs S$25 – S$35! So other than the occasional splurge, most of our meals were home-cooked groceries we got from Rema1000 (our favourite), Bunnpris or Joker. Tours in Norway are pretty expensive too. Our only splurge this trip was a kayak rental in Geiranger — definitely worth the splurge! Other activities like hiking and exploring the towns are usually free. This component ended up taking the biggest pie because of internal flights, ferry crossings and car rentals. If you have multiple drivers and more days to spare, you can significantly cut your cost by driving from city to city instead of flying. Click here for detailed breakdown! This article was brought to you by Emirates. For more travel inspiration, follow our adventures on Facebook, Instagram and YouTube! Amazing! May I know how did you guys bring around your luggages? Or do you deposit them somewhere in Oslo?